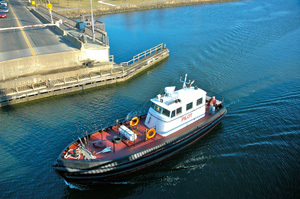 Owner James Amarante has worked in the maritime industry for nearly twenty years providing a wide array of services to international shipping customers, domestic tug and barge companies and petroleum terminals. Jim Amarante and crew offer Master Unlimited, Master of Tow, 1600, 500 and 100 ton licenses for all of your towing and transportation needs AR Marine operates two 44ft Gladding and Hearn Pilot Boats with heated decks and plenty of space for deliveries. In addition, AR Marine has a network of subcontracted vessels offering survey, dive support, emergency repair, heavy weather, and ice breaking capabilities.